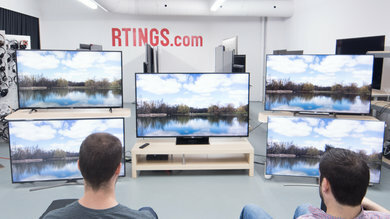 A television’s input lag is the amount of time that elapses between a picture being generated by a source and that image appearing onscreen. When gaming, you’ll experience this as the time between making an input and seeing the reaction appear onscreen. It’s only important for gamers, and even then, different gamers will have different sensitivity to lag. 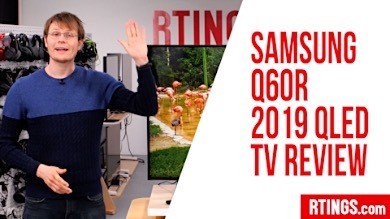 We record the lowest input lag time of which a TV is capable, the amount of lag present when motion interpolation is enabled, and the amount of lag a TV has when using our calibrated settings at different resolutions and refresh rates. 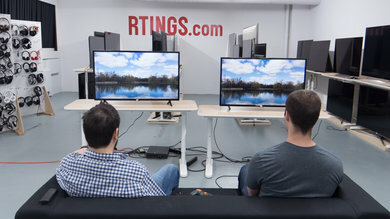 Update 02/28/2019: We have added new input lag tests with the 1.3 test bench (1440p @ 60Hz, 1440p @ 120Hz, 1440p with VRR, 8k @ 60Hz, 8k with VRR). 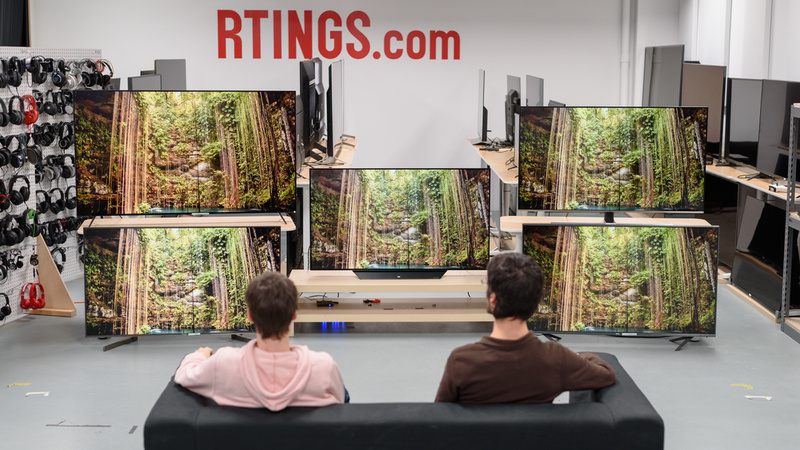 We have also removed rarely used tests (1080p @ 60Hz + HDR, 4k @ 60Hz @ 4:4:4 + 8 bit HDR). Update 03/09/2018: We have added new input lag tests with the 1.2 test bench (4k @ 120Hz and Variable Refresh Rate). We have also removed rarely used tests (1080p @ 60Hz @ 4:4:4, 1080p with Interpolation). Update 09/21/2017: We have changed our testing methodology to use a new input lag tool. 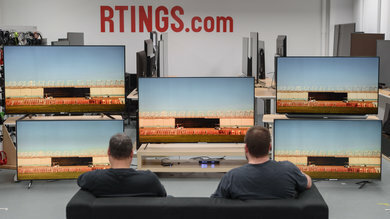 As a result, we have now measured 1080p @ 120Hz input lag for all supported TVs we have in our lab. Update 09/14/2016: We are now testing input lag in various resolutions, including 4k and HDR. 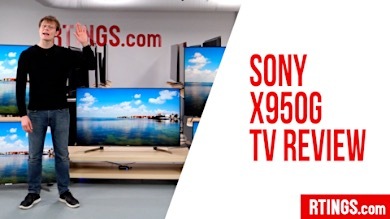 We've retested all 2016 4k TVs that we bought so far. For testing 4k and HDR, we are using the Leo Bodnar tool chained into the HDFury Integral and the HDFury Linker to upscale to 4k and inject HDR metadata. These tools don't add any significant input lag to the measurements. Note: Input lag is not the same as response time. The response time is the time it takes a pixel to shift from one color to another, which is significantly shorter than the input lag time. Response time is related to motion blur. 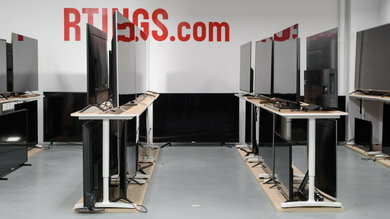 If you want to see our test for Monitors, check our "Input Lag of Monitors" article. Input lag only matters for playing video games, either on a console or on a PC. With fast-paced games like shooters and fighting games, quick reflexes are key. Lower input lag can mean the difference between a well-timed reaction and a move that takes too long to register and ends up countered by the opponent before it can ever be performed. This lag doesn’t matter for watching movies, though, so unless you’re a gamer and are worried about PC peripheral lag, or Nintendo, Xbox One, or PS4 controller input lag (or other controllers), you have nothing to worry about. 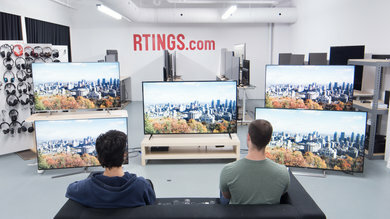 Most people will not notice under 50 ms of input lag while more competitive gamers should look for a TV that can do below 40 ms. Almost everyone will also find anything over 100 ms terrible to play with. 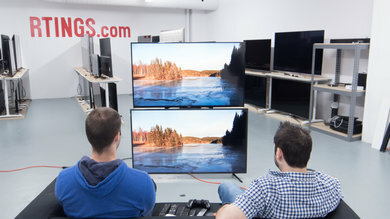 This input lag test represents the lowest lag a TV is capable of achieving with a 1080p @ 60Hz signal. This number is important for most gamers on console or PC which have a Full-HD or 1080p output, such as the PS4 and Xbox One, and is even more important when playing fast-paced or competitive games. 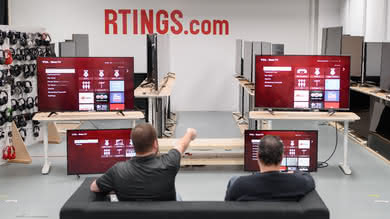 We use a custom tool to perform this test, as it provides an accurate, continuous measurement of a TV’s input lag. 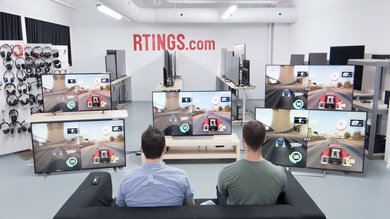 To get the lowest amount of lag on most TVs, it’s necessary to enable 'Game' mode. On some, though, special steps are required, which we always list on the settings page of each TV. 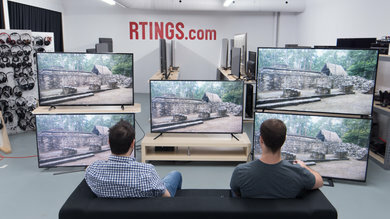 Our 1080p @ 60Hz Outside Game Mode measurement represents the amount of input lag that is present when a TV uses our posted review settings – no game mode, no motion interpolation. It is useful for those who want to game with the most accurate image or with processing options available. This test is similar to the 1080p @ 60Hz Input lag test; however, a higher resolution 1440p @ 60Hz signal is sent to the TV instead. This test is more niche: only the Xbox One S, One X, and PCs can game at 1440p, and not all TVs support a 1440p input. 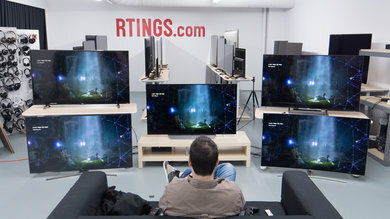 This test is only relevant if you choose to game at 1440p and have a source and TV that support it. This test is similar to the 1080p @ 60Hz Input lag test; however, a higher resolution 4k @ 60Hz signal is sent to the TV instead. This is the amount of lag that is best for gamers on newer consoles such as the PS4 Pro and Xbox One X or PC and is pretty important for most fast-paced, competitive games. This test is similar to the 4k @ 60Hz Input lag test; however, an HDFury Linker is chained between the PC (pattern generator) and TV. This allows us to send an HDR signal and measure the input lag with the same custom tool as other input lag tests. A low 4k @ 60Hz + HDR input lag number is important for people playing HDR games on new consoles (Xbox One X or PS4 Pro) or with a PC. 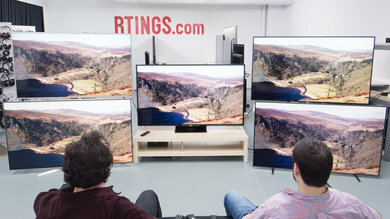 This input lag test represents the lowest lag a TV is capable of achieving when displaying a 4k @ 60Hz @ 4:4:4 signal. You can read more about 4:4:4 here, however, it is generally only useful for PC use. For most TVs, this requires changing to a PC mode or input icon, however, you can see our settings page of any TV for more information. For this test we use the same method as other input lag tests, however, we additionally test that chroma subsampling is displayed correctly. 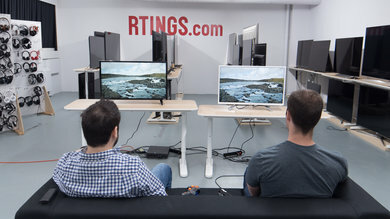 This test is similar to the 1080p @ 60Hz Outside Game Mode test, but with a 4k @ 60Hz signal. 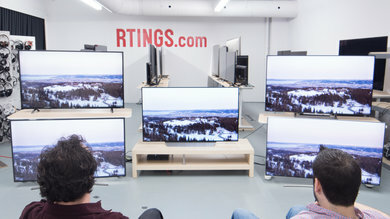 Game mode disables many of the picture options a TV has, so this test is useful for people who want to play games with all of the TV’s settings available to them. This input lag time represents the lowest amount of lag a TV can get with the motion interpolation feature (soap opera effect) turned on and a 4k signal. 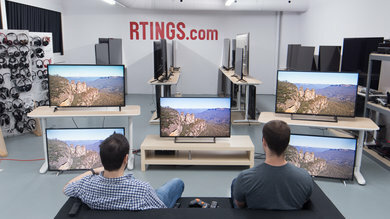 If you want to increase the frame rate of videos by adjusting the TV’s settings, this is a test you should care about. Just keep in mind that this setting will usually have significantly higher input lag than the TV’s minimum, and so isn’t great for competitive games (it works well for most RPGs and turn-based games, though). We use the same testing process as for the first test, only instead of enabling game mode, we enable motion interpolation at its highest setting. On most TVs, this isn't playable for fast games. Some people chose to live with a higher input lag in order to get a smoother motion. Learn more about motion interpolation. This test is similar to the 4k @ 60Hz Input lag test; however, an even higher resolution 8k @ 60Hz signal is sent to the TV instead. 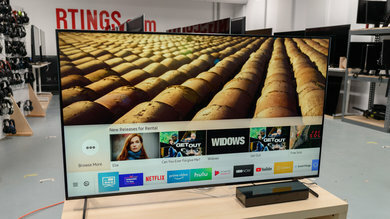 Currently, no mainstream gaming device can send this resolution to a TV, but in the future, some PCs and consoles will be able to game at this resolution. 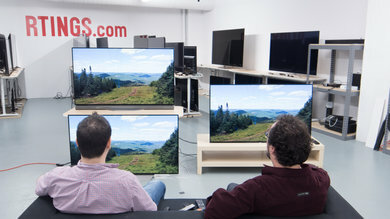 This is similar to the 1080p @ 60Hz input lag test; however, a 120Hz signal is sent to the TV. This test is mostly useful for those who enjoy gaming at high refresh rates on a PC. On consoles, the Xbox One S and Xbox One X now also support 1080p @ 120Hz output; although most Xbox games can't render at 120Hz, 120Hz input lag is often lower than 60Hz, so Xbox users who want to game at 1080p can use 1080p @ 120Hz output to get lower input lag in most cases. 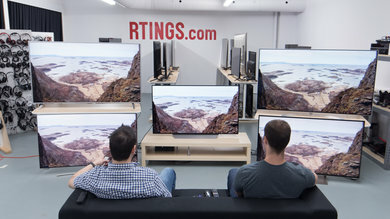 This is similar to the 1080p @ 120Hz input lag test; however, a 1440p @ 120Hz signal is sent to the TV. Once again this test is mostly useful for PC gaming, but Xbox One S and X users can enable 1440p @ 120Hz output to get lower input lag in most cases, if the TV supports such a resolution. This is similar to the 1080p @ 120Hz input lag test; however, this uses a much higher bandwidth 4k signal instead. It is useful for those who can game at high resolution and high refresh rates on PC. 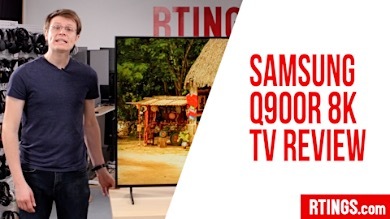 This is similar to the 1080p @ 60Hz input lag test; however, a variable refresh rate signal is sent instead (such as FreeSync), using the maximum refresh rate available on the TV (such as 120Hz). 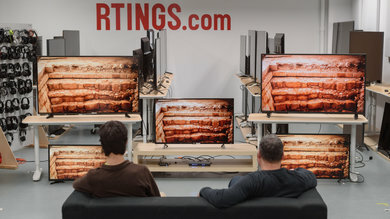 You can read more about variable refresh rate (VRR) here, but in a nutshell when a game's framerate changes, a VRR capable display will show the framerate changes smoothly without sudden framerate jumps; VRR also often has very low input lag. This test is useful for PC and Xbox One S / One X gamers who have a TV that is capable of using VRR. This is similar to the 1080p with VRR input lag test; however, a 1440p signal is sent instead. This is again useful for PC and Xbox One S / One X gamers who have a compatible TV. This is similar to the 1080p with VRR input lag test; however, a 4k signal is sent instead. This is again useful for PC and Xbox One S / One X gamers who have a compatible TV. 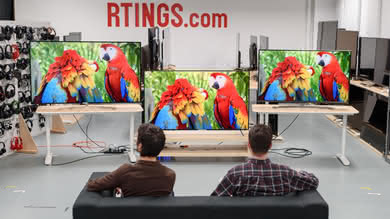 Like the other VRR tests, this is performed using the maximum refresh rate possible on the TV, however at a 4k resolution most TVs are limited to 60Hz; this means that the input lag will often be worse than say the 1080p with VRR input lag, which sometimes uses 120Hz. This is similar to the 1080p with VRR input lag test; however, an 8k signal is sent instead. Currently, no mainstream gaming device can send this resolution to a TV, but in the future, some PCs and consoles will be able to game at this resolution. 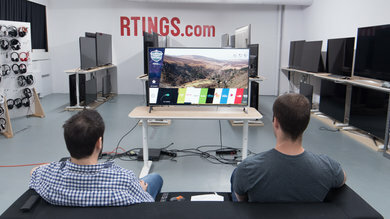 This tests whether a game console is able to request the TV switch into a game mode when a game is being played, and into a non-game mode when non-game content is played. 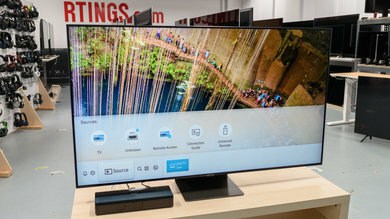 This is one of the new specs introduced with HDMI 2.1 and has been backported to some HDMI 2.0 TVs such as 2018 Samsung TVs. This feature is useful if you use a game console for watching other content, like Netflix, and want to use a fully featured picture mode for this content. 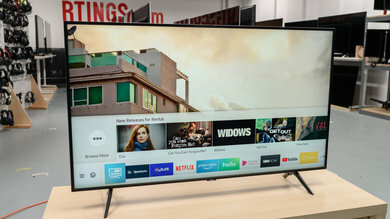 Currently, only the Xbox One S / One X support the official HDMI ALLM spec, but the PS4 and PS4 Pro have a similar Sony proprietary feature that works on most TVs. 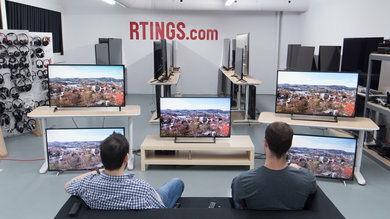 An input lag of 40ms can be seen on the television. 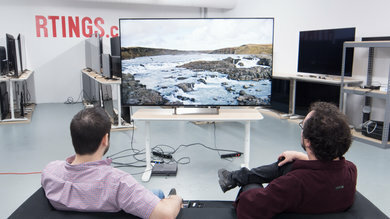 Input lag is not an official television specification because it depends on two varying factors: the type of source and the settings of the television. 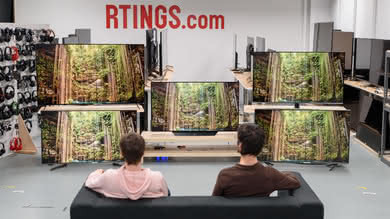 The easiest way you can measure it is by connecting a computer to the TV and displaying the same timer on both screens. You can find a timer here. Then, if you take a picture of both screens, the time difference will be your input lag. This is, however, an approximation, because your computer does not necessarily output both signals at the same time. In this example image, an input lag of 40ms (1:06:260 – 1:06:220) is indicated. In our tests, we measure input lag using a dedicated device made just for this purpose: our input lag tool. This is a lot more accurate than the two screens method. There are three main functions that delay the television: acquiring the source image, processing the image, and displaying it. 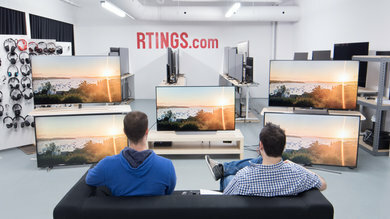 The more time it takes for the TV to receive the source image, the more input lag there will be. 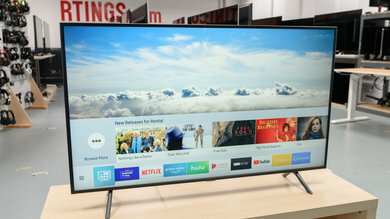 With modern digital TVs, using an HDMI cable will allow you to minimize the acquisition time, as that will transfer from the source a digital signal that is easily accepted by the TV. You might find a bit more lag is present with analog connections, like component or composite cables. This is because the TV needs to convert the analog signal to digital before video can be displayed, and the conversion process takes time. The time this step takes is affected by the speed of the video processor and the amount of processing needed. Though you cannot control the speed of the processor, you can exercise some control over how many operations it needs to do by enabling and disabling settings. The more settings you enable, the more work the processor needs to achieve. 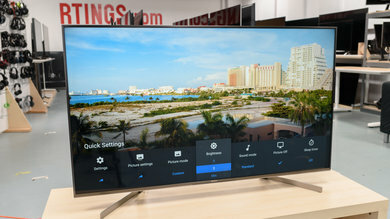 Some televisions have a dual-core processor in them. This can help to reduce the input lag if a lot of processing options are turned on. 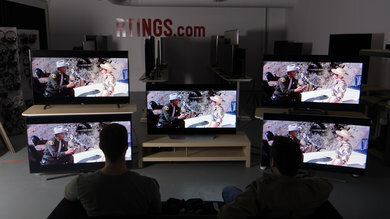 Once the television has processed the image, it is ready to be displayed on the screen. This is the step where the video processor sends the image to the screen. 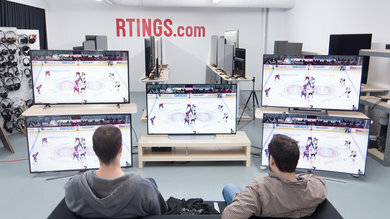 The screen cannot change its state instantly, and the amount of time it will take depends on the technology and components of the television. There’s, unfortunately, no way to improve or control the amount of time taken by this phase; it is a fixed amount of time for each television. Additionally, you can try different combinations of settings/modes/inputs until you arrive at whatever balance of features and input lag that you like. 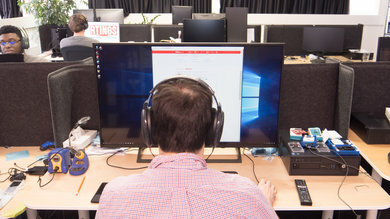 Game mode will disable some of the television's most time-consuming processing. 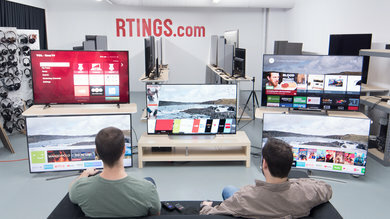 However, gaming mode is not necessarily the setting that guarantees the lowest input lag of the television; you will sometimes need to play with the other settings to get the optimal input lag time. Inside game mode, it doesn't really matter what settings you turn on. The input lag varies slightly depending on the input resolution and frame rate. The input lag also varies in time. 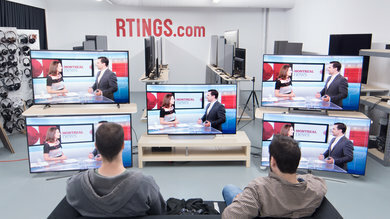 On some TVs, it even varies +/- 5ms. Input lag is the amount of time that elapses between performing an action with a source device and seeing the result onscreen. It’s important for gaming and is particularly important for fast-paced, competitive games. Anything below 50 ms is unnoticeable to most people. 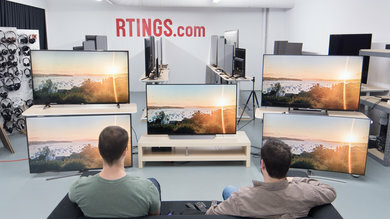 We test to find the lowest amount of lag a TV can have, as well as how much lag is present when a TV has motion interpolation enabled, or when it has normal, non-gaming picture settings on. 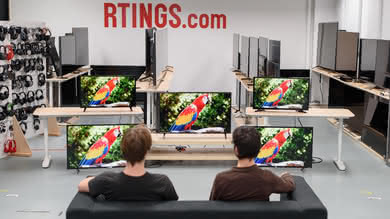 To improve the amount of lag, the best thing to do is use ‘Game’ or ‘PC’ mode on your TV (depending on the brand). If you want to use other settings that aren’t available in game mode, you’ll, unfortunately, need to deal with a higher amount of lag.